The mesh line, model MWPA34 with Medium Frequency welding, Underwire and Stretching of Crosswires is extremely versatile, offering the ability to produce a large range of mesh fencing products along with other more general purpose wire mesh. What makes this current line superior to the market is its ability to weld the new 4D High-Security mesh, which features, alternating crosswires, top & under the linewires of the mesh panel. This requirement offered several challenges to the CMT engineering team, which had to ensure absolutely flat and flush trimmed edges all around the mesh panel. 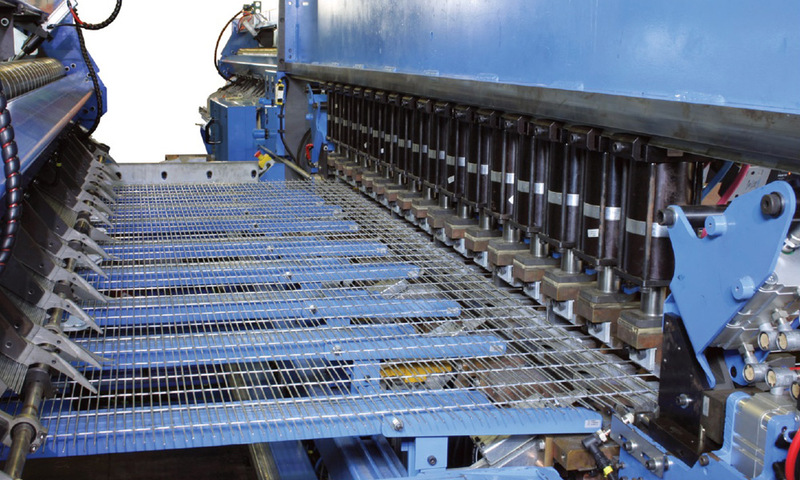 The machine can also produce the more traditional, "V – Bend" fencing, high security 358 mesh (as used on the Mexico/U.S. border fence), and the popular German "double wire" mesh fencing. Possible to run from precut or offcoil wires or a combination of both.